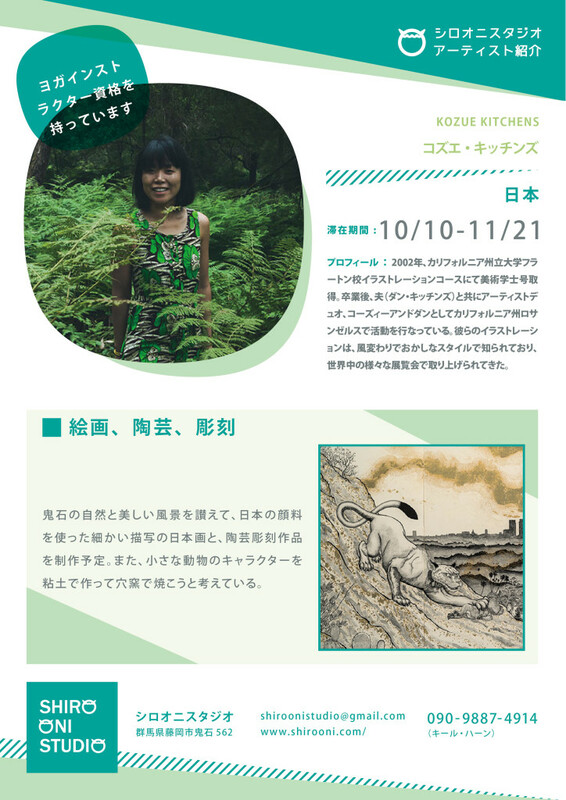 Kozue Kitchens reveived her BFA in illustration at California State University, Fullerton in 2002. After graduating CSUF, she worked with her husband (Dan Kitchens) as artist duo, Kozyndan in Los Angeles, CA. Their illustrations, which are known for their whimsical and absurd stylizations, have been featured in a variety of exhibitions worldwide.